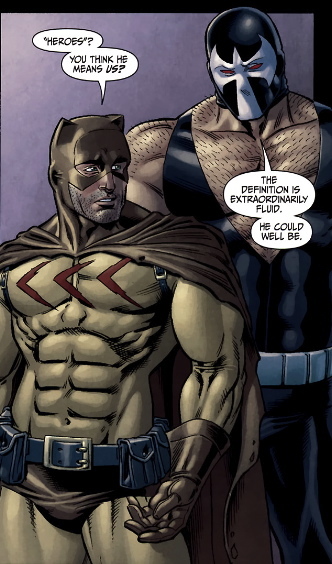 Secret Six is about bad guys trying to be good. But unlike Thunderbolts and similar titles, there’s no coercion, and no trick. It’s really a morality play. Some of them are more evil than others (Deadshot) and some are more more confused than good-or-bad (Bane, Ragdoll). They’re a team of misfits who really just want to proud of what they do–and maybe make some cash. Catman, spokesman for the animals of the African plains (but a white guy) is the most conflicted….